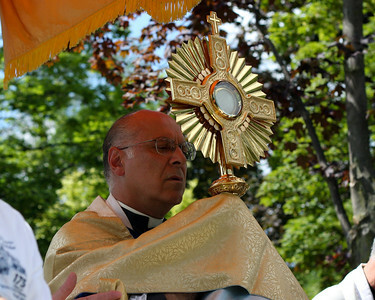 GrottoCast is a lay-run initiative and homilies uploaded here have explicit permission of the priests giving them. 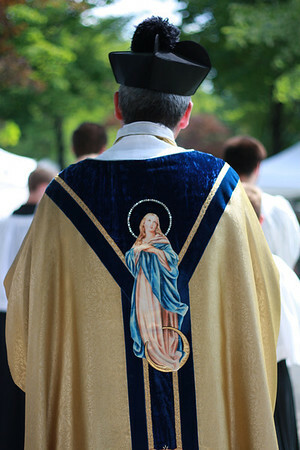 This website is aimed mainly at bringing to you the homilies of Assumption Grotto’s pastor, Fr. Eduard Perrone. We hope to do this on a weekly basis, but there will be some exceptions. At times it will be impractical to bring those homilies to you on a given week for one reason or another. There are also vacations and other things that come up. However, there may be fillers we can use from older recordings where the quality is not too bad. Homilies by others may be uploaded now and then, as well as talks, with permission. On this site, you may also be treated to video shorts which show the liturgical and devotional life at the parish. One example is one uploaded and back-dated to December of 2014 – the blessing of the Nativity. Please be patient as we work through quality issues. Many options were considered with regards to storage and sharing. After looking at a number of options – both technical aspects and cost – SoundCloud quickly became the tool of choice. SoundCloud is gaining popularity and provides many listening options. First, you can listen online on any computer either at SoundCloud, or at the GrottoCast site, or other site which has the audio file embedded. You can also download a free app for your IOS or Android device. There may be an option for Windows-based phones, just check the store. In the coming weeks we will explore various options to make listening easier for those who want to listen offline, when they do not have access to wi-fi and don’t want to use their data plan. At the time of launch, downloading has been disabled. You will be able to easily share these SoundCloud files in a variety of ways. Just look for the share options. If you share the GrottoCast post in which the file is embedded, you will give others additional information like, which Mass it was recorded at, the day it was recorded on, and the Mass readings for the day.